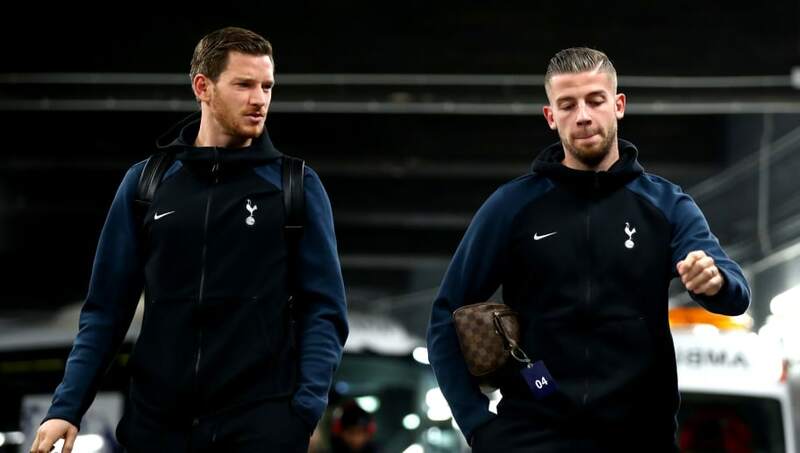 ​Former ​Liverpool player and Anfield legend Steve Nicol has revealed that the defender he'd like to see link up with Jurgen Klopp's side to partner Virgil van Dijk in defence is Tottenham's ​Toby Alderweireld. The Spurs man, who has a £25m release clause, has been heavily linked with a move away from Mauricio Pochettino's side, with Manchester United one such side believed to be interested in the former Ajax and Atletico Madrid defender. Van Dijk has been a monster in defence since joining Liverpool from ​Southampton in January 2018, with some labelling him the best defender in world football after some dominant displays for his country and in the Premier League. The Netherlands international had developed a good partnership with young English centre back Joe Gomez at the beginning of the season. However, Gomez has been out since December after fracturing his leg in a win at Burnley. Regarding Alderweireld's future, Nicol, who played 343 games for Liverpool at full back, said as quoted by the ​Express: “One hundred per cent this guy’s going, we just don’t know where it is. “Again, this is a player who I think most teams in the world would want as their centre back. I wouldn’t mind him at Liverpool alongside Van Dijk, I think that would be a great pairing. So yes, he’s going to leave. Where does he go? I guess it’s up to him." Steve Nicol: “100% this guy’s [Toby Alderweireld] going. ​Liverpool have been much more solid this season when it comes to defending, conceding considerably fewer goals than they did last year. However, most Liverpool fans would still be eager for their squad to be bolstered with players of Alderweireld's quality. Due to a release clause in his contract, Alderweireld is available at just £25m, an absolute steal for such an experienced Premier League centre back, and Nicol added that he wouldn't be surprised if he ended up at Real Madrid. He said: “If he wants to move for money, he will go for the highest bidder regardless. But if he wants trophies, and you’ve got someone like Varane wanting to leave Real Madrid, I wouldn’t be shocked if that was where he turns up.